This project was initiated prior to the founding of Studio Other Spaces. 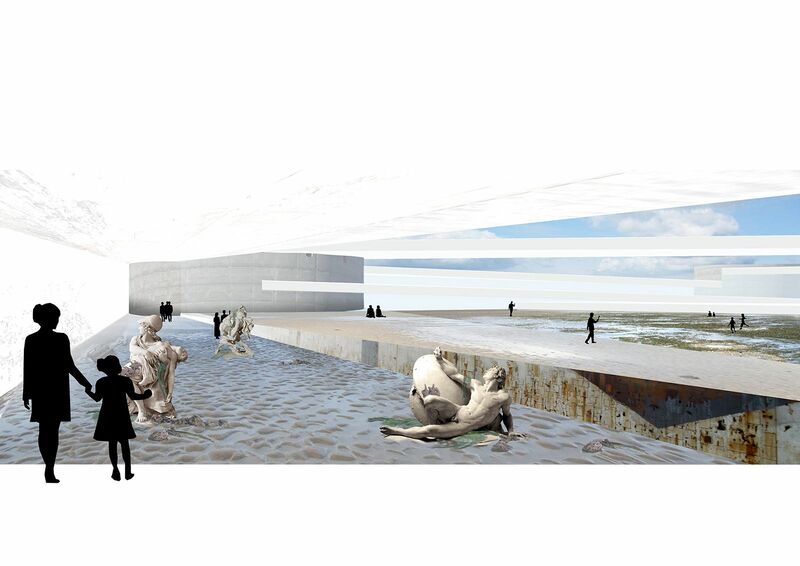 This proposal for a new art museum on the west coast of Denmark, which is to be situated between the dunes and the sea, uses the movement of the tides to shape both the boundaries of the museum and the spaces within it. High tide floods some of the spaces, while at low tide the museum expands into the landscape. Visitors experience a highly flexible building that continually changes depending on the weather, time of day, season, and level of the sea.